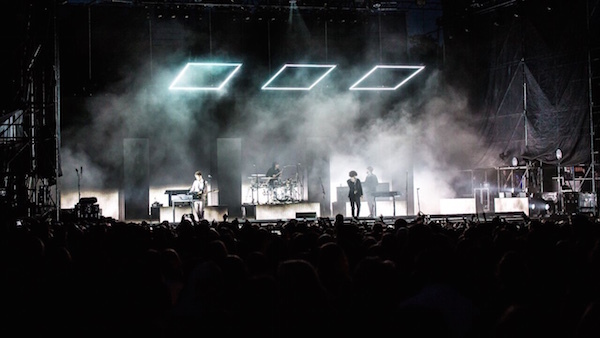 The British alternative band The 1975 performed a captivating sold-out show at Echo Beach last month. UK-based newcomer, The Japanese House offered an appreciated serene sound as first opener. Wolf Alice followed proving glam-punk is not dead while simultaneously amping up an impatient crowd. After a few cheers for the beloved frontman Matt Healy, The 1975 were quick to adhere to the adoring crowd’s expectations. Although drummer George Daniel was absent due to a recent shoulder injury, the band didn’t miss a beat with fill-in Dave Eltich of The Mars Volta and At the Drive In. The visuals alone were enough to impress with precise lighting and elevated stage backdrops which effectively reflected each song’s unique mood. Donning his bouncy curls, boyish smile, and quirky dance moves lead singer Matty swooned the crowd and knew it. He exuded a calmness as if playing an intimate living room gig, even lighting a cigarette between songs.  In comparison with an apprehensive stage presence upon release of their self-titled debut album The 1975 in 2013, it seems Healy has grown into the role of frontman nicely. Since 2013, he however has maintained the ritual of asking the crowd to put away gadgets for a song as a friendly reminder to remain present despite our recording-obsessed age. By doing so, he offers what he deems a time of connection with a song about himself aptly titled “Me”. With a borderline theatrical persona, lead guitarist Adam Hann and bassist Ross Macdonald were almost superficially overshadowed by Healy, yet their vital instrumentals could not be missed. Moreover, newest permanent member John Waugh added a vibrant contrast to pop pleasers like “Girls”, “Chocolate”, and “Love Me” with use of the saxophone. Since the release of their second album I Like It When You Sleep, For You Are So Beautiful Yet So Unaware Of It the band has not only exploded with fame but has expanded their audience demographic. Although The 1975 retains the lure British boy-bands have on young women, more men were undoubtedly present in comparison with their debut-album’s wave of Toronto shows. The expanding and changing fan base comes with good reason. Their sound shows range unprecedented with today’s popular music. From synthesized instrumentals, soulful ballads like “If I Believe You”, to funk lined pop, The 1975 refuses to be pigeonholed. With lyrics spanding topics of religion, death, insecurity, drugs, love, to social validation, the band remains equally relatable as idolized with their rising fame. 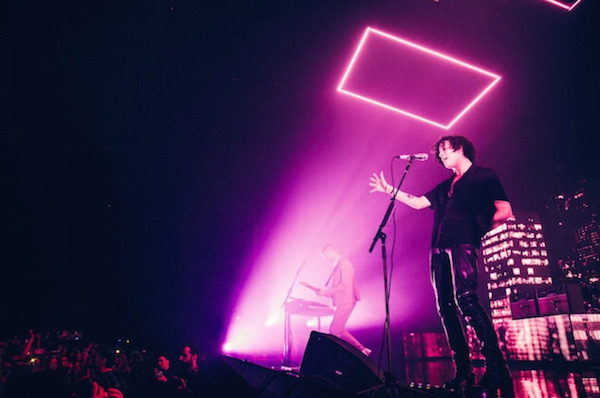 By delivering such a unique and packed performance, it remains uncertain what else The 1975 could possibly bring next time.